Robert P Langlands' father was Robert Langlands while his mother was Kathleen Phelan. He married Charlotte Lorraine Cheverie on 13 August 1956 while he was a nineteen year old undergraduate at the University of British Columbia. He was awarded his B.A. in the following year and continued to study at the University of British Columbia for his master's degree which was awarded in 1958. There are two, related parts to this thesis: one on representations of Lie semi-groups and one on operators associated to representations of Lie groups. The first part was published in the Canadian Journal of Mathematics, but the second was published only as an announcement in the Proceedings of the National Academy of Sciences of the USA. It nevertheless had the good fortune to be taken seriously by Derek Robinson, who incorporated some of the results into his book on Elliptic Operators and Lie Groups. ... my only active encounter with partial differential equations, a subject to which I had always hoped to return but in a different vein. Appointed to Princeton as an instructor after completing his doctoral studies, Langlands taught there for seven years and was promoted to associate professor. He spent 1964-65 at the University of California, Berkeley as a Miller Foundation Fellow and an Alfred P Sloan Fellow. Then in 1967 he returned to Yale University as a full professor. However Langlands spent 1967-68 visiting in Ankara, Turkey having an office next to that of Cahit Arf. After five years at Yale he returned again to Princeton, this time as professor of mathematics at the Institute for Advanced Study. He has remained at the Institute for Advanced Study since his appointment there in 1972. ... extraordinary vision that has brought the theory of group representations into a revolutionary new relationship with the theory of automorphic forms and number theory. Let us explain a little of Langlands' work which led to this award. As soon as he had completed his doctoral work, Langlands began to work on automorphic forms. In a remarkable paper he applied recent results by Harish-Chandra to obtain a formula for the dimension of certain spaces of automorphic forms. Then, over the next couple of years, he produced deep results on Eisenstein series and went on to apply Eisenstein series to prove a number theory conjecture due to Weil. ... a collection of far-reaching and uncannily accurate conjectures relating number theory, automorphic forms, and representation theory. Theses have formed the core of a program still being carried out, and have come to play a central role in all three subjects. Other letters of Langlands also proved remarkably important. While he was in Ankara in 1967-68 he wrote to Serre with ideas which would eventually be formulated as the Deligne-Langlands conjecture; this was proved eventually by Kazhdan and Lusztig. ... path-blazing work and extraordinary insights in the fields of number theory, automorphic forms, and group representation. Elected a Fellow of the Royal Society of Canada in 1972, he was elected a Fellow of the Royal Society of London in 1981. He has received honorary doctorates from the University of British Columbia, McMaster University, The City University of New York, the University of Waterloo, the University of Paris VII, McGill University, and the University of Toronto. 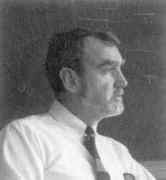 Professor Langlands secured his place in history of mathematics as the proposer (in 1967) and first developer of the eponymous research programme. The deep results and visionary conjectures of the Langlands Programme relate the core themes in number theory and representation theory. [Langlands'] astounding insight has provided a whole generation of mathematicians working in automorphic forms and representation theory with a seemingly unlimited expanse of deep, interesting, and above all approachable problems to work away on.